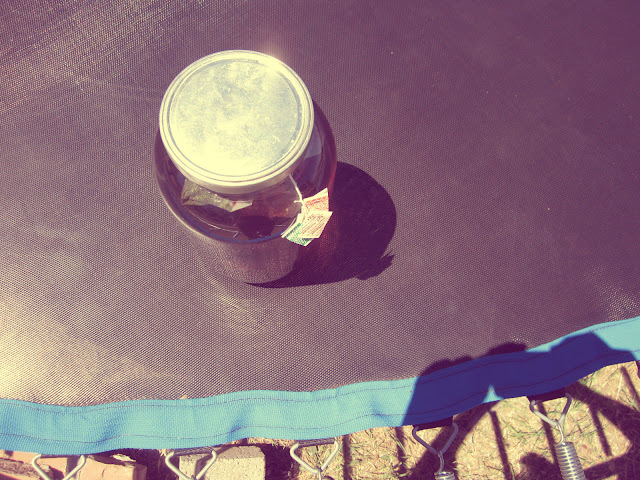 That above there, is sun tea. What is that, you ask? Tea, steeped in cool water, set in the sun. Yes. This is a favorite drink in the hot days of summer; of which-- are already beginning. It's easy. And fun. And lastly, delicious cool and refreshing. There isn't anything as enjoyable in the hot summer --or spring-- days as sitting on the porch with a tall, frosty glass of iced tea in your hand. Set it in the sun, someplace -- we put ours on the trampoline because the black mat attracts the sun, (Little science lesson, alright?) -- and wait for 2-4 hours. Then pour over ice, or cool in the refrigerator and drink your refreshing tea. ooo! That looks so delicious and refreshing... thank you for sharing! 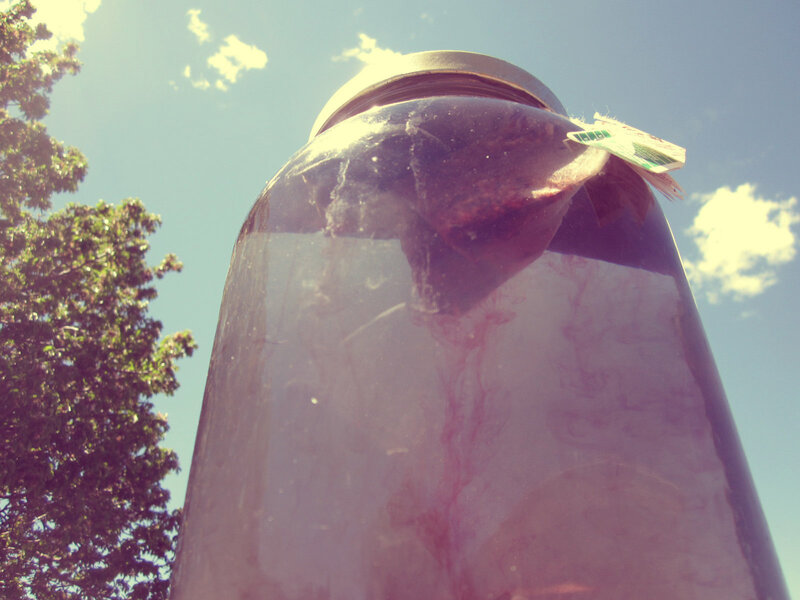 Sun tea is the best! I love it! Hi Mikailah!! Just wanted to let you know- I'm already a follower of your lovely blog! Though I haven't had much time to comment this busy semester. ;) But expect more of me- and thanks for following! Living in Tennessee sweet tea is almost as common as water!=) Thanks for this recpie! We make this all the time in summer! It's the best, isn't it? 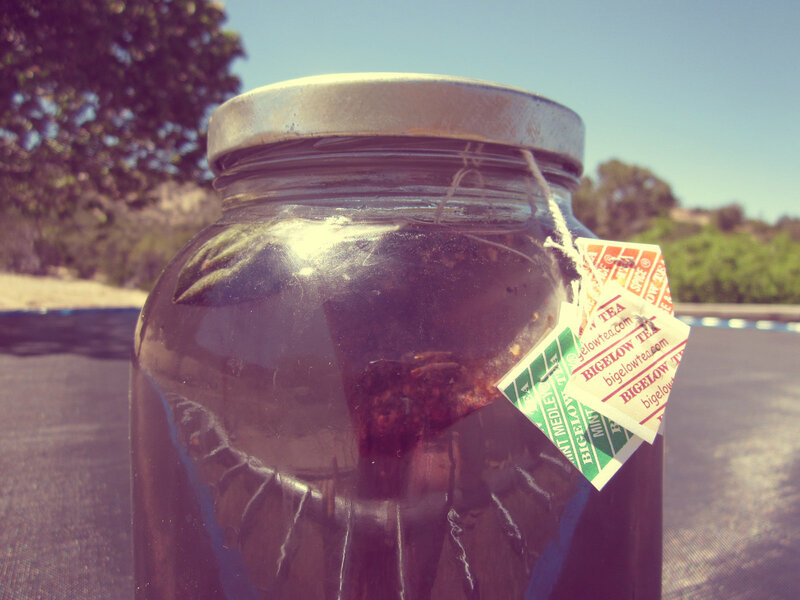 Love me some sweet tea:) I know my mom would really like to make a lot of sweet tea this summer!